Figure 8. 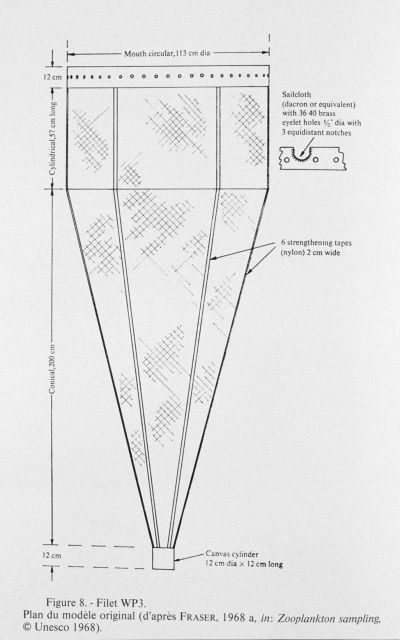 Plan of the original model of the WP3 trawling net as recommended by working group Number 3 of the Scientific Committee on Oceanic Research in 1966. This net was meant to capture large plankton. It was afterwards tested by several laboratories and found to have many shortcomings such as inefficienci es in capturing fish larvae and in the opening of its mouth.